What Is A Niche In Marketing? This is usually a confusing word for many newbies online.l know it was for me. specific need.A smaller targeted subgroup of a larger market. People in a niche have a targeted problem or need. A niche is a distinct segment of a market. Let’s take for example baby dresses, this might seem targeted but it’s still a broad niche, girls jumper is more targeted. This is what you call a niche. Someone looking to buy boy shorts is not looking for girls dresses, but looking specifically for girls dresses. So let’s Try and find a niche for Dresses. As you can see in the examples above both are toys but someone looking for girls toys look for different items to someone looking for boys toys. Narrowing down that we have been able to do here to find potentially profitable niches that you could tackle in creating a niche website business in a large market. Read my other post here about niche. Let us look at another example, you are in Geneva Switzerland a place famous for watches, and needed to repair your Omega watch,your interest is in a very specialized niche of the large market category of watches, you would not just search under ‘watches’ in Google, you know you need to narrow your search to your niche based need if you are to succeed. A search under the broad term ‘watches’ would yield hundreds of pages about watches from all over the world about every angle for every model and age of watch. To solve your problem you need to specify that you are interested in Omega watches, watch repairs and your location. You might then do a search under ‘Omega watch repairs in Geneva‘ which will narrow down your search to your target interest for your specific problem. Now you are in the right niche market and can find help fast. A shop owner in Zurich selling and repairing Omega watches could create a website to attract customers, now if his website was www.artisanchronometrie.ch, it will be targeted and you as someone needing service from his niche will find him using your exact online search. As a website owner on your website, you will inform people of your niche services and about your industry. Any search for Omega repairs in Zurich will then bring up your website in the google search engines. If you wrote your website well using proper SEO your page might well be in the top ranking of Google. A targeted and specific problem and a targeted service to solve a specific problem. It is a perfect match since the client looked at exactly what he needed and you as a website owner targeted a specific keyword. To achieve this targeted search terms, the website owner needs to use a keyword tool to find the right keywords prior to writing his content. Read my other post about targeted keywords. Ok, we know What Is A Niche In Marketing, But How Do We Find Keywords? If you chose not to read my post above where l explained where to find keywords, lm going to explain just a bit about keywords here. To have a high ranking post, you need to select your keywords well otherwise your hard work will be for nothing, your articles will not rank in Google, and without ranks in google, no one will see your good content. Like a friend said to me once, no one finds you on page 3 of Google because searchers do not go there. Like the example above, if the guy looking to repair his watch did not give a targeted search term, he will not find what he is looking for, if the vendor does not research his keywords before writing his article, the right audience will not find his post in the google search engine. When creating a post, you should aim at low competing keywords, this way, you have a chance at ranking in the search engines and being found. Statistics show that people searching online do not search past the 2nd page of google so you should aim at having your post ranking on page 1 of Google. This is achieved by using keyword tools to choose and search for keywords with less competition. 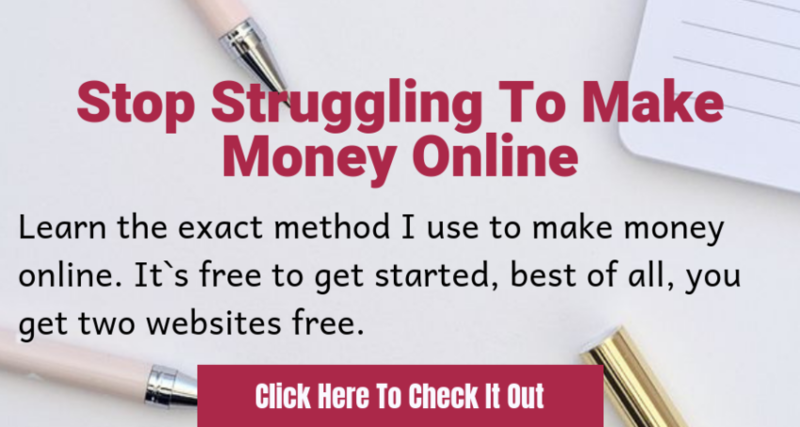 To be successful online you have to find the right niche, check my review to Wealthy Affiliate where I learned all I know online. Think of what are you passionate about, do you enjoy telling people about your cat ? do you like to read, love sports? the most important is to choose your niche carefully as we discussed earlier. Some facts to remember. chose a niche you are passionate about. a niche you understand about or are not afraid to keep learning and improving about. Some people do say follow the money and choose a profitable niche, I don’t agree, follow your passion. And it is so easy, you have a niche website. l hope l have helped answer your question on what is a niche in marketing and you are ready to start making money online. If you want to learn how to make money online, then click here to join my #1 recommendation all for free. This is some great information. I’m going to implement these strategies in my SEO routine. Thanks for sharing. Glad you like the post and found it useful.SEO can be confusing but with time and keeping on learning, it should be easy for any blogger to optimize their content. Thanks for the explanation. I struggle finding (or should I say defining) my niche. My blog is pretty broad and covers just about everything, so finding my niche can be difficult sometimes. It is ok to have a broad niche, some people choose to have broad niches and it works for them, if it works for you then all is ok.Just concentrate on a particular audience with every post you write. This is such a great information. I have no idea about niche marketing and it really explained to me what is it. I will definitely check this again. Great to know this information. It’s so hard to market your product online this day as there are many others doing the same product online. I will check this more. This is a science that you can only really master through practice. I’m working on learning about keywords and finding my own niche. You have some great ideas. Thanks Katie, you said it right, finidng a targeted niche can be hard, finding the right keywords that convetr and with low competition even harder. This is such an interesting and eye-opener post. You explained a lot about Niche in marketing. I will definitely pin this. Glad you liked, it,i know alot of people struggle finding a niche simply because there are not alot of posts out there that explain exactly what a niche is and how you should go about finding your niche. Finding your niche is so important. I feel like I was lost until I figured out what my audience really wanted and what I really wanted to create. Like you, I struggled to figure out what my niche was because the word Niche was just confusing.Took me a while, jumping from one broad niche to the next till i figured it out.